4MS Company and Tiptop Audio visited our showroom following NAMM 2019 in order to talk about some of their new and long-standing products. Among others, we got an in-depth look at Tiptop's overall system design, 4MS's Listen series modules, Pod cases, and the upcoming Spherical Wavetable Navigator, a 6-voice wavetable module completely in a realm its own. If you weren't able to make it out to the event, check out our live stream video below! 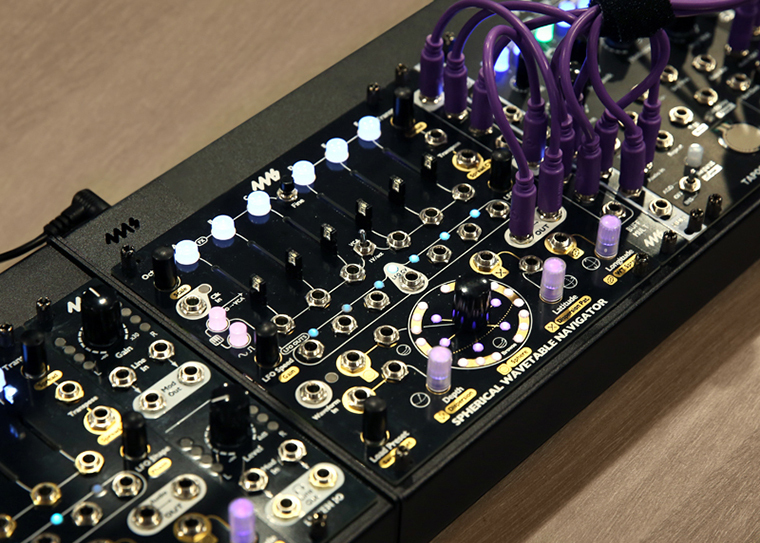 4MS started out making noise-oriented pedals and desktop devices, making their way into the Eurorack format with modules that focused on providing new options for rhythmic variation. Prior to modules like the Rotating Clock Divider and Quad Clock Distributor, the world of Eurorack rhythm sequencing was decidedly old-school—great for recreating Tangerine Dream rhythms and four-on-the-floor style sequences, but not so great for polyrhythms, complex meter, or generative rhythmic structures. 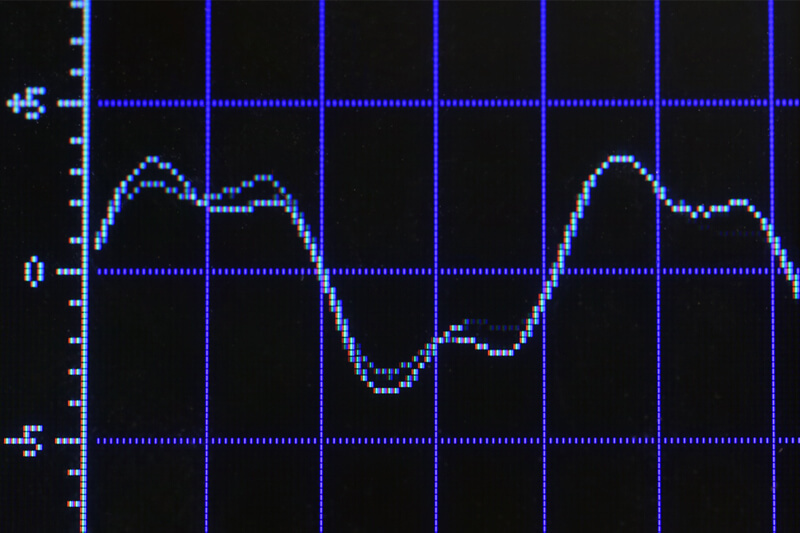 4MS no doubt changed the scope of Eurorack clock generation and clock interpretation, with "pingable" function generators like the PEG and QPLFO expanding the idea of advanced rhythmic sequencing into the realm of modulation signals. The past few years, 4MS has seemed to shift their focus to the world of digital signal generation—their SMR Spectral Multiband Resonator, for instance, is one of the most popular digital sound generation modules around. 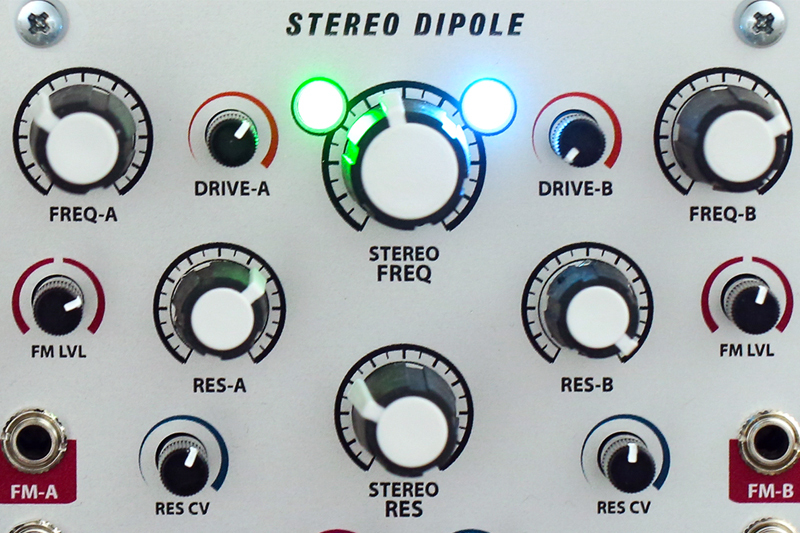 Their DLD Dual Looping Delay and Tapographic Delay expanded their company's deep ideas of rhythmic control into the DSP paradigm, and the STS Stereo Triggered Sampler is no doubt one of the most flexible sample manipulation modules available. Despite their company's changing scope and interests, 4MS never fails to produce devices that propel modular synthesizers into the future. 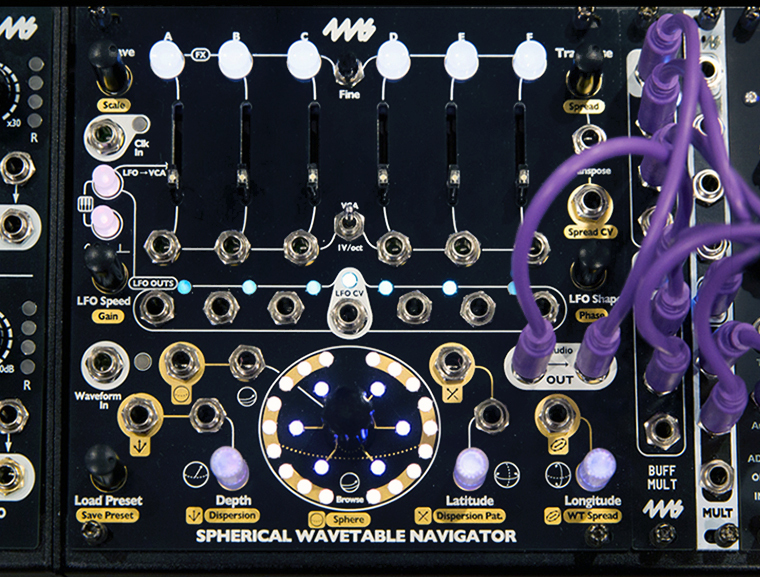 The star of 4MS's presentation is the long-awaited Spherical Wavetable Navigator (SWN, pronounced like "swan"). SWN has over time accumulated its own cult following—various prototypes have emerged at NAMM and Superbooth over the last couple of years. 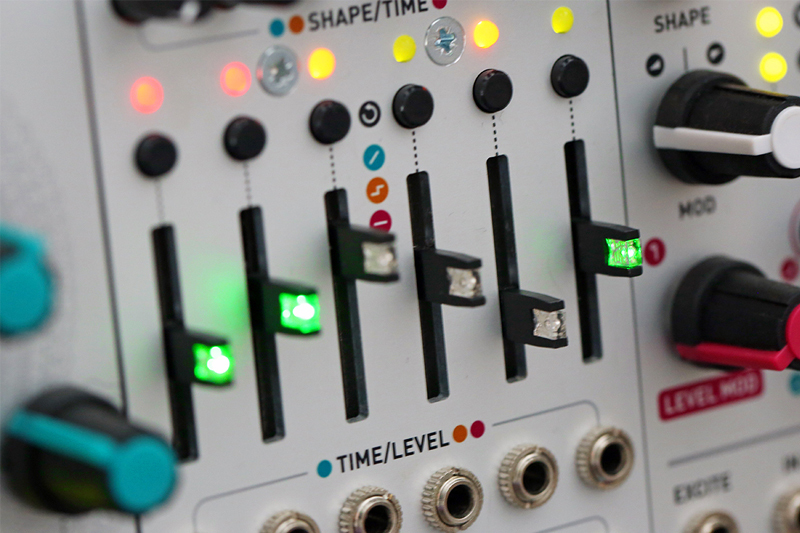 From the outset, the module's features were singular and promising enough that the Eurorack world has been constantly abuzz about its eventual release...we are thrilled to see how it has evolved over time. Now having seen what the final feature set will more or less include, we are more excited than ever about all of the potential that SWN offers. SWN is a six-voice wavetable module that organizes its tables in three dimensions, creating an abstract 3-toroidal space which users can traverse in order to discover rich new sonic scapes. Much of its capabilities are still shrouded in a layer of mystique, but the presentation did explain more than enough to send our imaginations reeling. Each of the SWN's six voices feature their own internal VCA and wavetable LFO, offering tons of options for control within the module itself. The VCAs can be modulated from external sources or even by the internal LFOs themselves, allowing for the creation of evolving drones, percussive rhythms, and pseudo-sequences of individual voices sounding in succession. The levels of each individual sound can be manually controlled via dedicated sliders and mutes, making it possible to create dynamic mixes and sequences that change over time at the whim of the performer. The pitches for each voice can be quantized or unquantized, making it possible to create everything from swarmy drones to full harmonies. A Spread CV input and master transpose control make it easy to manipulate pitch globally. 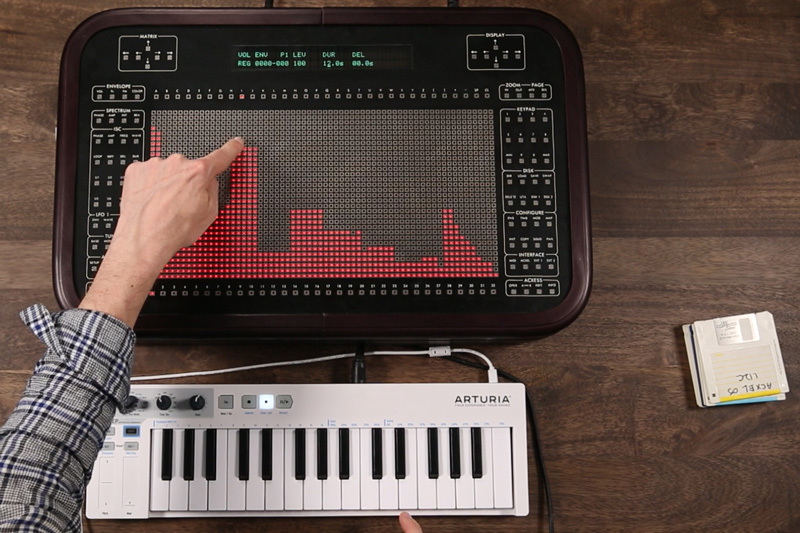 Perhaps one of the most interesting features outlined in the demo was the ability to switch into a keyboard-like mode where the mute switches begin to function like the keys on a keyboard, seemingly activating an internal envelope for each voice and enabling use as a six-voice polyphonic synth engine. This combined with the transpose control (which does conform to scales when quantized) and individual 1V/Oct inputs for each voice opens up a huge range of melodic and harmonic potential, essentially turning SWN into an entire synthesizer all its own. Built-in VCAs, wavetable LFOs, and a huge range of control options make the SWN truly feel like a singular entity. Countless other features abound: wrapped spatial navigation, preset memory, audio rate LFO use, a mysterious Waveform In jack...we do not know what it all does just yet, but rest assured that we will explore extensively once they come along! 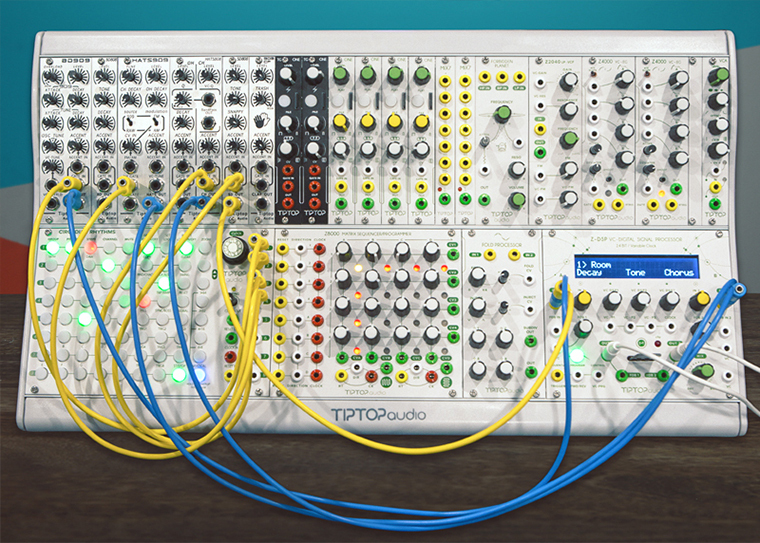 The Pod series of cases from 4MS are some of our favorite new Eurorack enclosures. Dan from 4MS explained their motivation and design spectacularly in the context of his company's own history: 4MS started out largely making noise-oriented pedals and desktop devices. 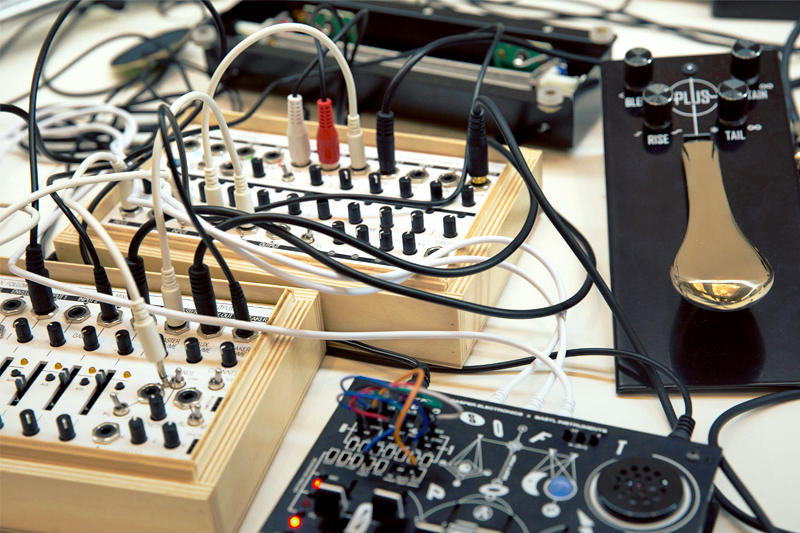 The Pod cases offer the same approach, extended to the world of Eurorack modules. 4MS's Pods are powered or unpowered Eurorack enclosures that come in 20hp, 26hp, 32hp, and 60hp sizes—overall, they're relatively short cases, and are certainly some of the most shallow Eurorack cases available. While this might to some seem a disadvantage, an adjustment of perspective might reveal some interesting and inspiring ideas: they offer the potential to isolate single modules or small groups of modules, promoting the use of Eurorack gear in contexts it does not typically promote. 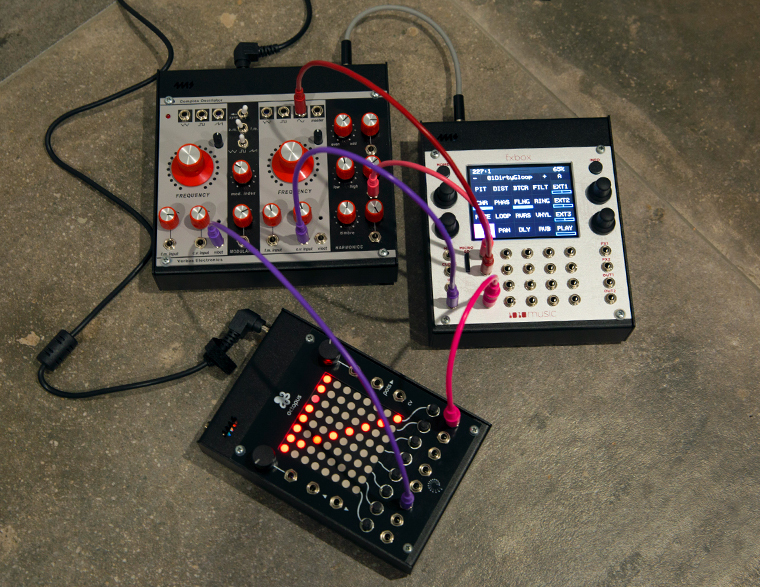 It is easy and unobtrusive to add a Pod case to a production station, to a guitar pedalboard, to a laptop-oriented rig, to a desktop-oriented noise setup, highlighting the fact that one does not need a sprawling jungle of patch cables to take advantage of all of the innovation that Eurorack offers. It also makes traveling with a modular system perhaps easier than ever before: just throw a Pod or two into a camera bag and get on the plane or drive to a friend's house without the stress and hassle of carrying a larger system around. 4MS also showed their new Listen series, a group of modules oriented toward creation of a flexible mixing environment in Eurorack format. Joining along their remarkably handy WAV Recorder module (an SD card stereo recorder in 6hp), the Listen Four, Listen Four Quarters, and Listen IO offer plenty of potential for translating seamlessly between the modular synthesizer and the rest of the world. Listen IO is a stereo input, stereo output module that can serve a ton of purposes. The top half is an input amplifier, making it easy to plug in drum machines, synths, etc.  for processing in the Eurorack ecosystem. The input amplifier features a dedicated signal level indicator, and has enough available gain to cleanly amplify even dynamic microphones to a suitable Euro signal level. Listen Four and Listen Four Quarters are four-channel mixers with integrated panning options and headphone outputs, with independent level control for headphone and final outs. Listen Four features 1/8" main outputs with switchable Euro or line level performance, while Listen Four Quarters offers 1/4" line outputs with a couple of different routing options for different scenarios. The Listen Four modules are chain-able behind the scenes, making it possible to create larger mixing arrangements complete with group-like assignments and more. 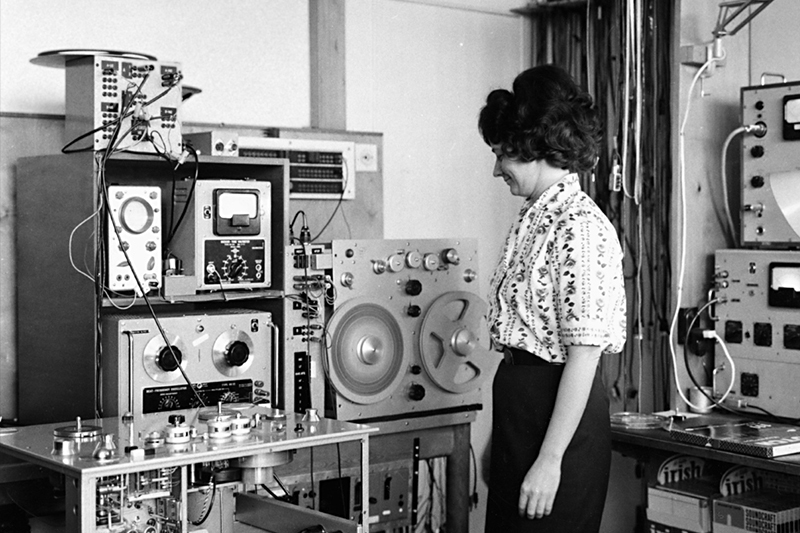 That's right—it's a modular mixer for modular synthesizers. The WAV Recorder can also act as a final stop in this daisy-chaining scheme, making it easy to set up as an end-of-chain recorder for the Listen mixing ecosystem. 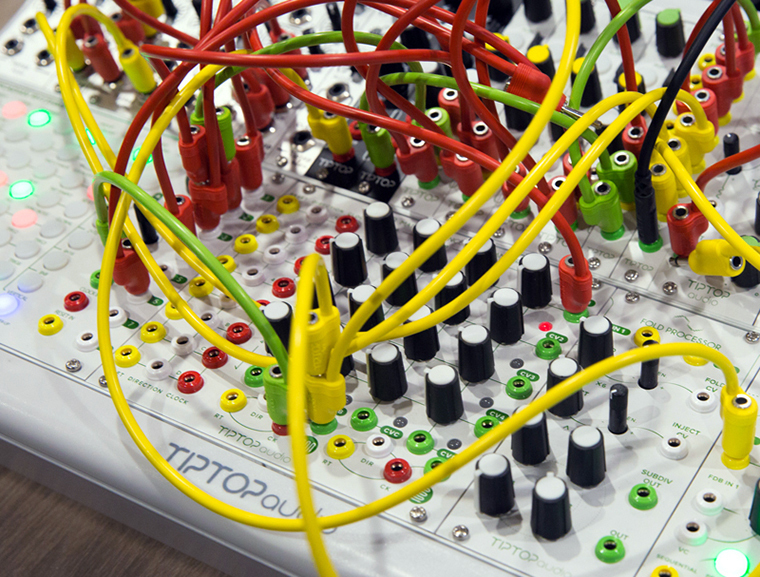 Tiptop Audio has been in the modular synth scene for a good while, and has made their name known through a variety of now ubiquitous products: from the wildly popular Happy Ending Kit, modular recreations of the iconic TR-808 and TR-909 circuits, Stackcable patch cables, the Z-DSP cartridge-based effects system, Tiptop's lineup is full of forward-thinking designs and proven crowd favorites. As time has gone on, the TipTop lineup has clearly evolved toward self-sufficiency as a system. Their latest endeavors seem to be focused in on "filling in the gaps" in that hypothetical system: the most recent introductions to their line, the Mix7 unity mixer and VCA, offer much-needed utilities clearly designed to fit within the framework of their overall system architectures. Tiptop's modules are for the most part take a very "what you see is what you get" approach: their no-nonsense designs provide exactly the functionality they advertise, and do so reliably and cleanly. 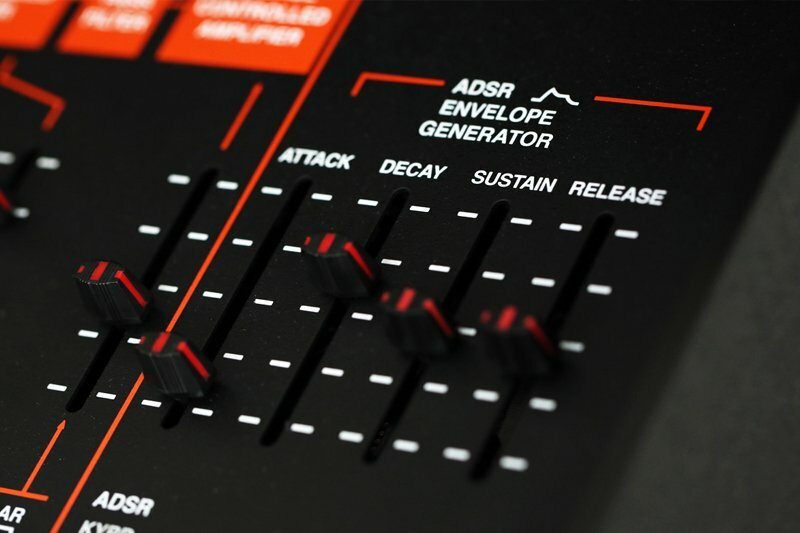 This is exemplified in their drum modules: an extensive series of recreations of the classic 808 and 909 circuits, with a bit of extended functionality in the way of CV and tone control. Their filters (Z2040 and Forbidden Planet) are straightforward filters; their oscillator, the Z3000, is one of the finest oscillators in the format. Tiptop makes a powerful case that individual modules do not need to be able to do fifty different things in order to be useful: sometimes when you want a kick drum, you just want a straight-up good kick drum without the fuss of patching together self-oscillating filters to exponential envelopes and VCAs. Tiptop is very much about getting straight to making good-sounding music instead of fussing with needless tech. The clever foresight of some of Tiptop's design decisions becomes clear with the Mix7, for instance. On its surface, the Mix7 is a fairly straightforward (albeit very clean) 7-channel unity mixer. 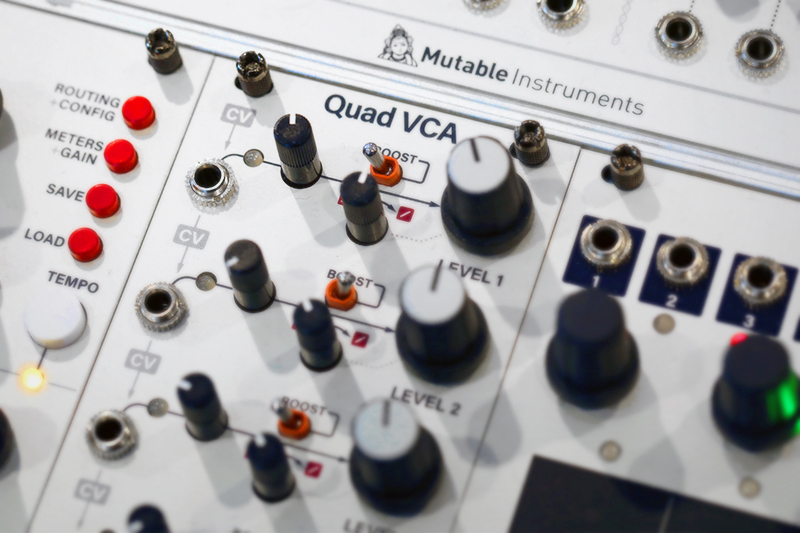 There are not a ton of situations in Eurorack where one would want to patch together seven sound sources into a single unity mixer: that would require external signal level attenuators or VCAs, which is why most people err toward using mixer modules with built-in level controls, or multi-VCA modules with internal mixing functionality. Within the context of Tiptop's own ecosystem, though, this module is just plain clever: each Tiptop drum module features its own level control along the top of the module, so within a Tiptop setup, this mixer eliminates redundancy and saves space. When the modules have their own level controls, there is no need for all of those extra knobs. The Tiptop VCA offers a clever extension of this same idea: most VCAs will at best offer a CV input attenuator and bias control...many use combined controls where the default bias control is overridden when CV is applied. Not only does the Tiptop VCA offer dedicated bias and CV attenuators—it also includes an output level control on the top, like Tiptop's drum modules. This makes it easy to integrate synth voices into the Tiptop system and control dynamics in the same way one would with their drum modules. It point to a well-considered design philosophy, one which discards unnecessary conventions in favor of making tools with smart, well-considered layouts that remove unnecessary obstacles between musicians and the sounds they create. 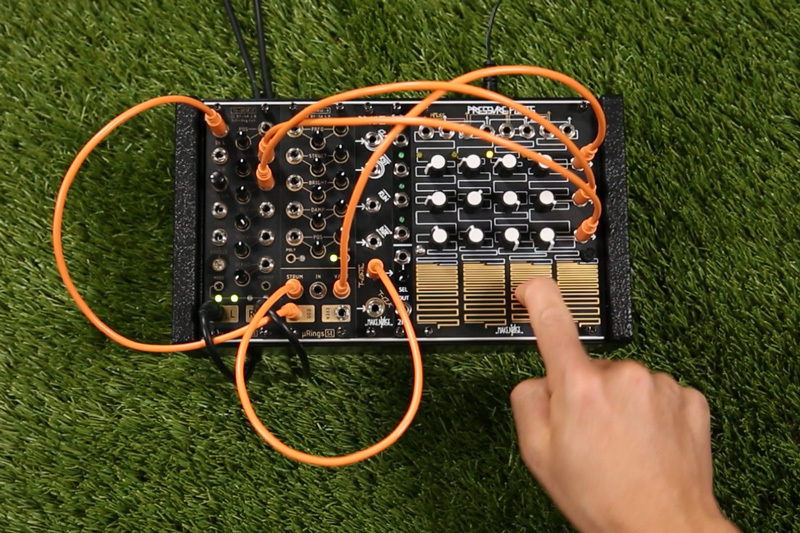 Tiptop offered a great presentation featuring a jam and discussion of the various aspects of instrument design and modular music-making—be sure to check out the video above!